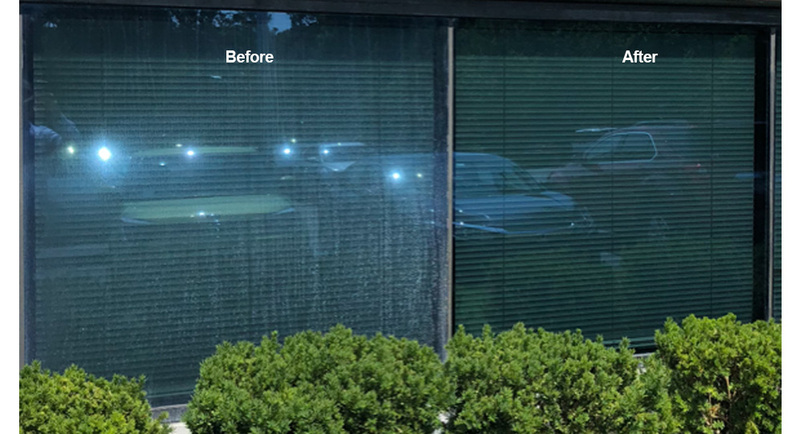 Window Cleaning with Acid and Pumice in Islandia, NY – North Hills Office Services Inc.
New building management company requested to remove hard water stains from the sprinkler water system that had been sitting on the glass for many years. 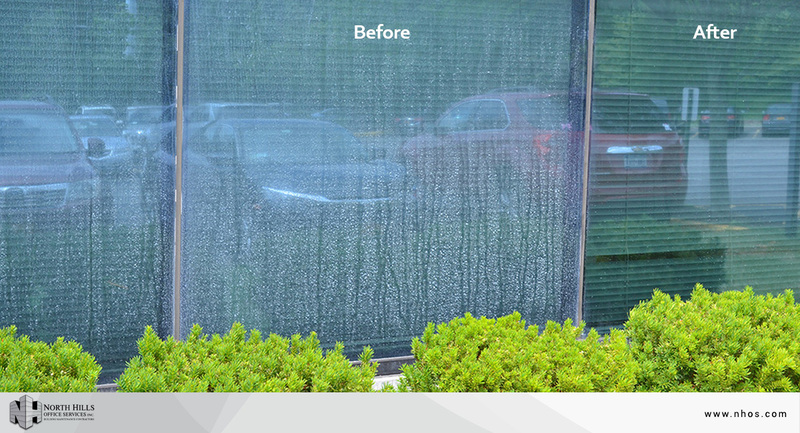 Because the hard water had been sitting on the glass for so long baking in the sun, the mineral in the water corroded the glass making it extremely hard to remove. 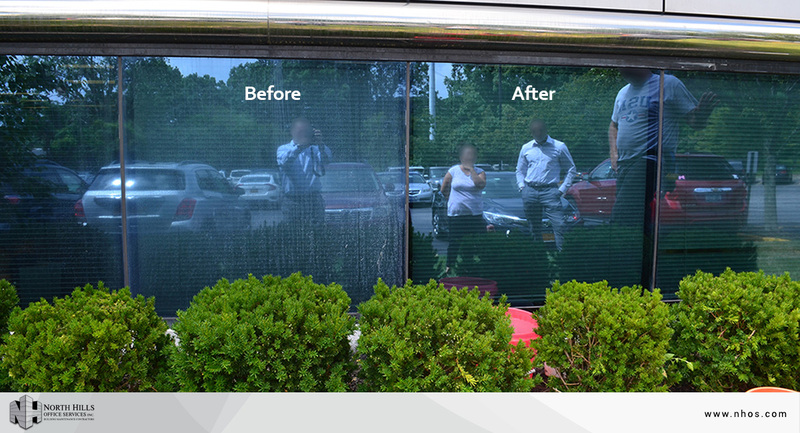 We applied a specific procedure to the glass where there was a mix of acid washing and pumice washing. After repeated applications, the stains were successfully removed.